The referendum on Scottish independence was bound to change the United Kingdom, whichever way the vote finally went. And since the result was announced on 19th September, the debate about the future of the UK has been as passionate as the campaign in Scotland was. But aren?t calls for « English votes for English laws » and bids to re-open the « West Lothian question » getting in the way of the real issues? Ever since the end of the 1990s, when Labour introduced devolved assemblies for three out of the four component parts of the UK , what was missing was an integrated, overall scheme for managing all the component parts of the UK in a fair and democratic manner, under a unifying, central authority. In other words, clear, workable constitutional arrangements? of the kind that other countries take for granted. This isn?t an easy subject for us Brits to get to grips with. It forces us to use words we hate using, like the ?c? words (as in Constitution and citizenship), the ?f? word (as in federal), and the ?n? word (as in nationality), none of which we are comfortable with at all. It?s much easier, for example, to talk about someone holding this or that passport (a convenient travel document issued on demand to those citizens desiring to travel abroad) than to use the ?n? word. But I?m afraid we?re going to have to get used to it. Let me ease you into the debate by inviting you to compare and contrast these two diagrams. One of them shows a type of structure in use the world over in organizations of all kinds, including sovereign states. The other one is hardly used at all, with one notable exception. Which of them seems to you to be the better way of organizing an entity that consists of four component parts and a surrounding unifying structure? Once we?ve agree on that, we shall have to conclude that, for an entity with four component parts and a surrounding unifying structure, we shall need not four, but five management structures. Then, we shall have to decide which activities should be managed at the level of the unifying structure, and which at the level of the component parts. 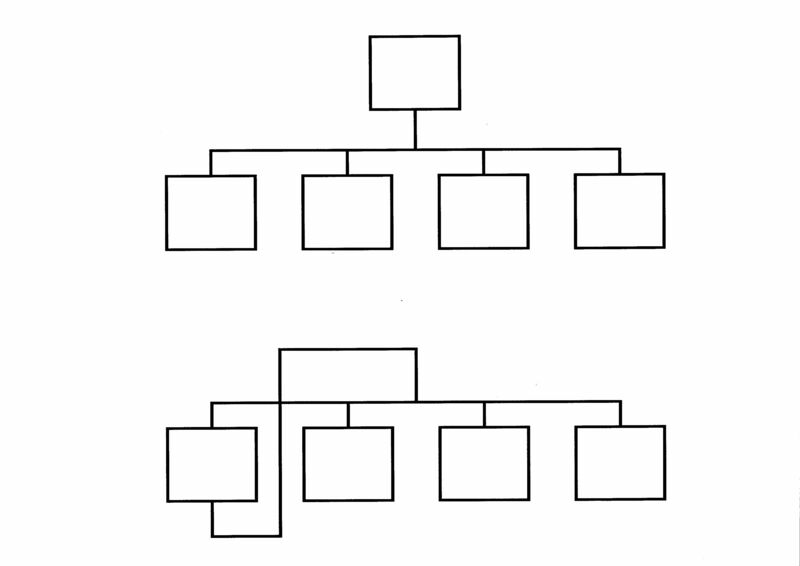 Those are the basic decisions that have to be taken before you can get into which structure should be put where, and who should sit in this or that part of it. It will take time, but hang on, we?ve done this before. In 1867 we drew up the basis for the sharing of power in Canada between the federal government in Ottawa and the (now) 16 provincial governments. In 1900, we did something similar for Australia, dividing responsibilities between Canberra and the states and territories. After the war, the UK took a major role, together with the other Allied Powers, in drafting the 1949 Constitution of the Federal Republic of Germany. Each of these cases proved the general rule: the number of government structures you need is the number of component parts plus one, the surrounding unifying structure. Of course we are more familiar with terms like provinces (as in Canada) or states (as in Australia or Germany) than ?components?. I am using the term ?components? merely for convenience, so that are not distracted by the fact that the UK?s component parts are two kingdoms, a principality and a province. That they have different names does not matter: the need is to affirm their equal status. All the country examples I have just quoted call their surrounding unifying structure the federal government, based on a federal parliament and executive. On the subject of status, note that disparate size of components need not automatically cause a problem. Of Canada?s 16 provinces, the largest (Ontario) has a population 92 times larger than the smallest (Prince Edward Island). Of Germany?s 16 states, the largest (Nordrhein-Westfalen) is over 26 times the size of the smallest (Bremen). Another thing to note is that in terms of elected representatives, you either sit in a state or provincial parliament, or in the federal parliament, but not both. I believe it will help us to move more swiftly to the kind of new constitutional arrangements that the UK needs, and which were envisaged by Mr Cameron on 19th September, if we understand these concepts sooner rather than later. After all, they are not complicated, our universities contain a number of extremely competent and distinguished constitutional lawyers who are raring to get going on this, and we do have some experience of doing this sort of thing for other countries. Once the division of responsibilities is clear, then we can debate whether Westminster should be the English parliament or the UK parliament; where we should put the assembly which Westminster is not, which Westminster MPs should sit in each, and how and when we should make the transition. There are arguments for putting the assembly which Westminster is not, in some other part of the UK, perhaps in the north of England. But wherever it is located, one aspect must not be overlooked: the UK parliament must make adequate arrangements for the representation of the 9% of Britons who live outside the UK. Oh, dear, the ?n? word again? If you have family or friends or contacts who are eligible to vote in Scotland next week would you be kind enough to impress upon them the importance of the ?No? vote to maintain the Union. At the Battle Of Britain dinner in the House last night the point was made that it was at this time of year that so many of our young airmen gave their lives in the defence of the United Kingdom. The break-up of the Union would have disastrous consequences not just for Scotland but for the whole future of what most of us have worked all our lives for and hold dear. That, of course, will embrace not only domestic but overseas interests as well. We are making considerable progress over the right of Britons resident overseas to vote (and if you are eligible but have not yet registered please do so) and there are even some glimmerings ? although I would not wish to overstate the case ? of light on the pensions uprating front. We shall be stronger together. This is a crucial moment in our Island`s history and we really do need to muster all of the support available. Here’s a useful article by journalist Hugh Schofield, BBC News, Paris on why the French government doesn’t want a « yes » vote in the upcoming Scottish referendum. Here’s an interesting article by Andrew Smithers writing in the on-line Financial Times on 13th August, 2014 and from which an extract is quoted below. A Splendid Mess of a Union! At last a positive and emotional view of the Union with Scotland by historian Simon Schama, writing in The Financial Times of 9th May, 2014. « A splendid mess of a union should not be torn asunder. Are the arguments of UKIP and the SNP that different? – The UK (Scotland) has been diminished by its association with, or absorption into, a larger grouping represented by « Brussels » (« Westminster ») that rule and rule badly. – The people of the UK (Scotland) did not vote for Jose Manuel Barroso (David Cameron). – Both camps share a common language of complacent and ill-founded reassurance: It will be alright. They’re just bluffing. Britain (Scotland) is too important to the EU (UK) for them not to allow us to separate on our terms. You are currently browsing the archives for the Scottish Independence category.